1-27 to east on AA Hwy, route 27, south 2 miles to R on Pat Fanning Way - this merges with Arcadia Blvd. Turn R on Tartan Ridge Drive. Enjoy carefree no step ranch living in the Drees Oakmont townhome. Everything at your convenience all on 1 floor. Open floor plan with spacious kitchen & oversize island, 9' ceilings secluded master bedroom at the back of the home with adjoining bath & master closets. 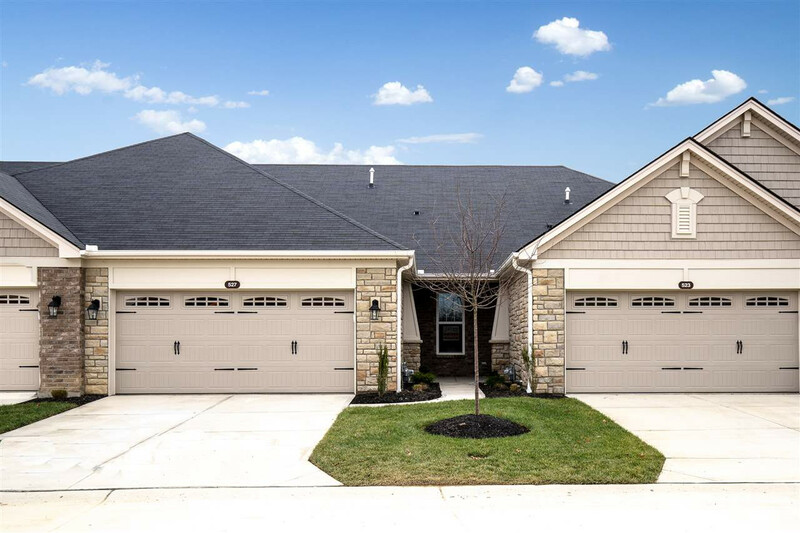 Recessed covered patio, 2 car garage full brick with stone accents and may upgrades.